In a medium saucepan, heat the oil with onion, carrot and garlic until tender, not browned. Cut up the Furmano's Whole Peeled Tomatoes, blend smoothly and pour into the saucepan. Add tomato paste, olive oil and the dry ingredients. Bring to a rapid boil; reduce the heat and simmer about one hour. 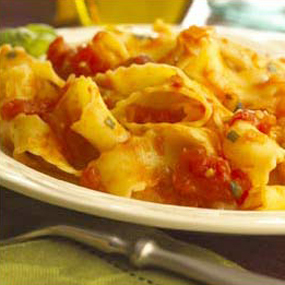 Enjoy with your favorite pasta dishes.